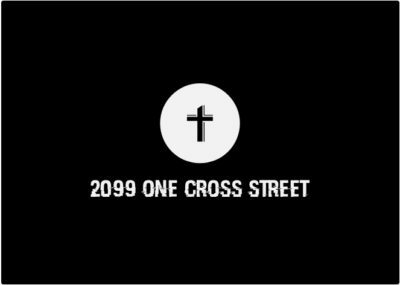 Today’s episode of One Cross Radio features the one and only Marcel Knot from Waterdown Youth Unlimited. Marcel is someone I’ve had the pleasure of chatting with several times before moving from Waterdown to Hamilton and is the Campus Life Director at Waterdown’s Youth Unlimited site. I’ve worked for Youth Unlimited in the past, and they are an organization/ministry near and dear to me. Marcel has a wealth of experience working with youth across the world and has been used greatly by the Lord to meet the needs of the youth in Waterdown. Marcel was wonderful enough to take some time out of his schedule to share some wisdom and talk with us today about his life, the process of partnering with local businesses, and reaching youth where they are. If you would like to learn more about Marcel and Waterdown Youth Unlimited or get in contact with them, you can find them here, and if you would like to financially support Marcel, you can do so here. I hope and pray that you enjoyed today’s episode and that the Lord spoke to you during it. Please share and subscribe if you can. Hope you have a wonderful day! God bless my friends!